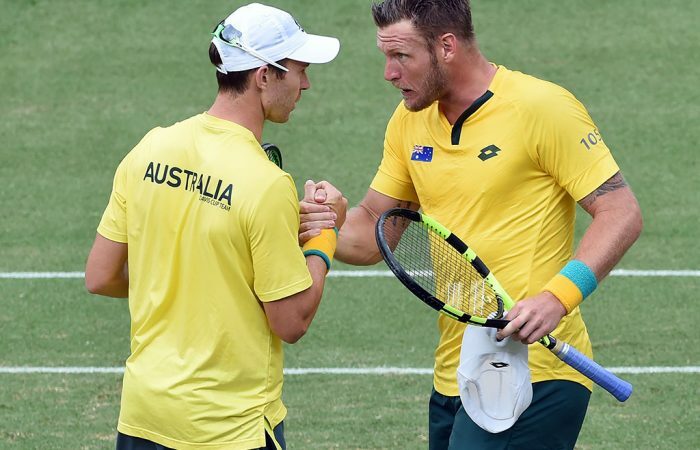 Sam Groth and John Peers have secured a 3-0 win for Australia over Slovakia, securing the Aussies Davis Cup World Group status. 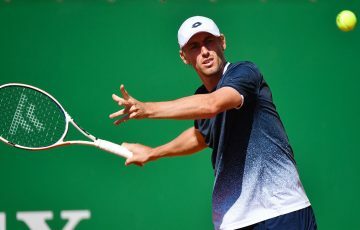 Lleyton Hewitt believes Australia can finally recapture the Davis Cup after ending his first year in charge with an emphatic World Group playoff victory over Slovakia. 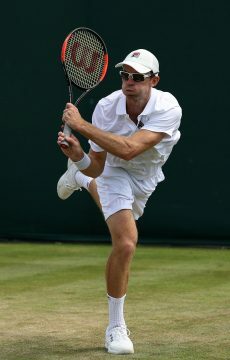 A 6-4 6-2 6-7 (3-7) 7-6 (7-2) doubles victory for Sam Groth and John Peers over Andrej Martin and Igor Zelenay on Saturday gave Australia an unassailable 3-0 lead in the best-of-five-rubber at Sydney Olympic Park. 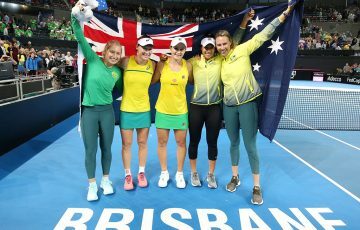 The resounding triumph secured Australia’s place in the elite 16-team World Group for 2017 after Nick Kyrgios and Bernard Tomic earlier set up the win with straight-sets singles successes on Friday. After making the semi-finals without Kyrgios in 2015, Hewitt is convinced he has the team to go all the way next year. 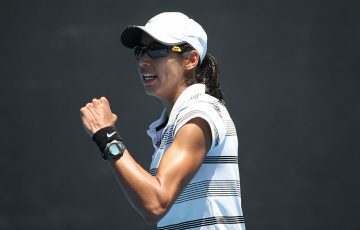 “So much depends on the draw but we’re not there just to make up the numbers,” captain Hewitt said. “We expect that we can go deep. This group wants to try and get our hands on the Davis Cup. “It’s been quite a while now since we’ve had an opportunity to play in a final and I know from experience I’d love these boys to have that experience of going out there and playing for Australia. ‘It’s one of the greatest honours you can have, playing in a Davis Cup final. 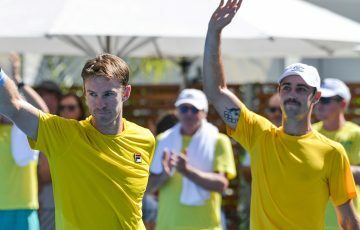 Partnering up for the first time in the competition, Groth and Peers overcame the disappointment of squandering a third-set match point to seal the tie after two hours and 21 minutes on Saturday. The Australians were untouchable on serve, dropping only 18 points in 21 service games while not facing a single break point all match. 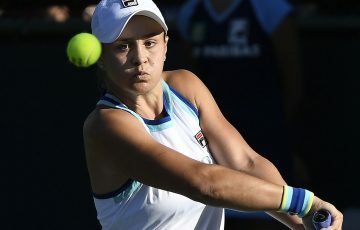 They broke the Slovaks three times to enjoy total control until the visitors saved their match point at 5-6 and then stole the third-set tiebreaker to have the Australian camp on edge. 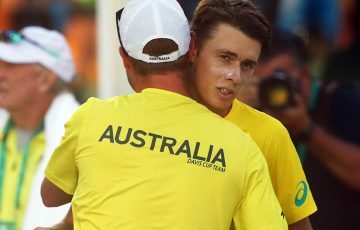 But Hewitt needn’t have worried as 28-year-old Peers held his nerve to collect his first Davis Cup point for Australia. 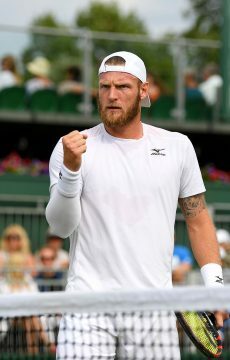 It was a sweet win for Groth, too, following his shattering doubles loss with Hewitt in Australia’s semi-final defeat last year at the hands of Great Britain in Glasgow. 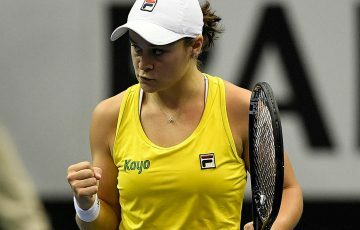 Australia’s unbeatable lead renders Sunday’s reverse singles rubbers dead and they will be reduced to the best-of-three tiebreak sets. Hoping to win the Davis Cup for the first time since 2003, Australia will learn who they face in next year’s first round at Tuesday’s draw in London.